Given that I don't have 10k reputation, I cannot cast delete votes yet. I believe I shouldn't be able to view the delete vote count as well. Also, from what I recall, I never had the ability to view the count of delete votes in the timeline view. So if any rules haven't changed recently, this seems to be a bug!? This makes sense because anonymous users can't see vote breakdown, i.e. the count of Up and Down votes separately. Considering the suggestion in the comments and answer that delete votes might be visible because they are "public" information, I decided to look at other sites where I have less than 1k reputation. 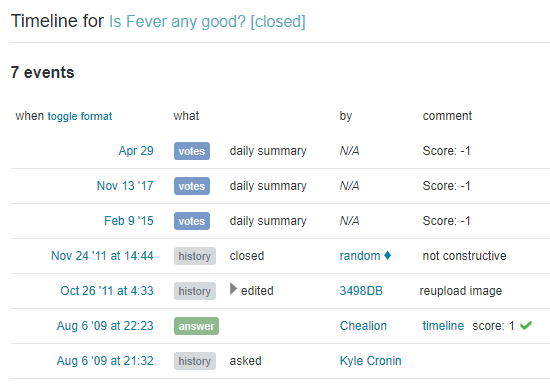 1: For example, this question has 1 close vote according to the API, but it cannot be seen on the timeline view. There isn't any privilege for seeing delete vote counts. You can see your own post delete vote count, if there were any. The only privilege is to see your own post vote count is for the close votes and the up/down breakdown. The only privilege for delete votes is about casting them. Not the answer you're looking for? Browse other questions tagged support timeline . 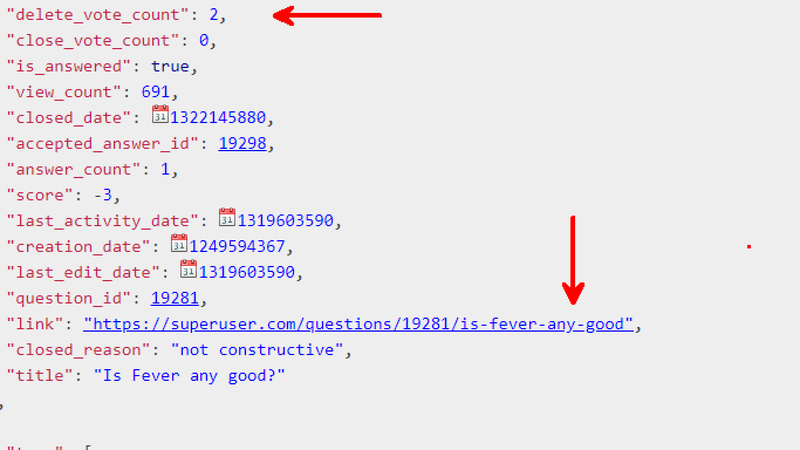 How does the page view count work on Stack Overflow? Does the view count increase if one account visits twice? Can we export timeline statistics of a post into a CSV file?